Rosemary’s Baby remake miniseries on NBC, reviewed. Rosemary’s Baby returns as an NBC miniseries. Zoe Saldana in Rosemary’s Baby. Do expectations work for or against a remake of Rosemary’s Baby? When I first heard that NBC was adapting Roman Polanski’s great, unnerving film (itself an adaptation of an Ira Levin novel), I made the traditional noise that greets news of all unnecessary remakes: “Whhhuuugghhh,” why meets ugh. Why would anyone remake a movie that, ugh, is so little in need of remaking? The advertisements that have lately papered New York City for the miniseries, with Zoe Saldana saddled with a version of Mia Farrow’s famous pixie cut, didn’t do much to reassure me that this was a project with its own vision. But once one’s expectations are in the gutter, it does not take much to exceed them. NBC’s Rosemary’s Baby, which premieres Sunday night and finishes up on Thursday, is a not-great remake, but it is also a not-entirely-horrible miniseries, a beneficiary of the soft standards of low expectations. Saldana stars as Rosemary Woodhouse, a former dancer who, in this version, moves to Paris with aspiring novelist husband Guy (Patrick J. Adams, as bland as his name) soon after she has a miscarriage. Through a series of devious coincidences, the young couple come to live in one of the poshest addresses in Paris, where they are tended to by Roman (Jason Isaacs) and Margaux Castevet (Carole Bouquet), a powerful, glamorous couple who take to the Woodhouses with stifling, excessive benevolence. Rosemary is initially skeptical of the Castevets and convinced her new home has bad juju, but her suspicions are manipulated and assuaged by the Castevets and a duplicitous Guy to the extent that, in a drug-induced stupor, she becomes impregnated by the devil. Saldana is the only vibrant performer in the miniseries. When she shows up at a party at the Castevets’, underdressed, she giggles nervously at everyone she meets, simultaneously naïve and charming, beautifully out of place. Saldana mugs adorably, flirts with her husband lasciviously, and generally seems alive, in stark contrast to the wooden cast assembled around her. Guy has the rote good looks of someone who stars on a USA drama (which he does; he plays a suit in Suits) but none of the shameless ambition or appealing sleaze John Cassavetes brought to the role in the original. Similarly, Margaux is no Ruth Gordon, but instead an impossibly chic French woman who kisses Rosemary at inopportune, not entirely plausible moments. 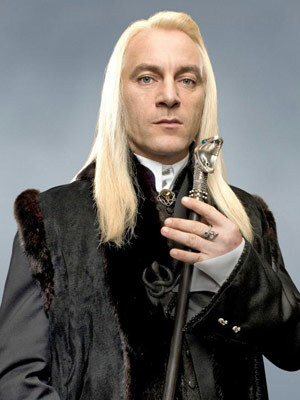 Even Jason Isaacs—Lucius Malfoy!—who sounds perfectly cast as the devil’s closest friend, never gets much to do, barely becoming menacing. The second night of the miniseries contains the set pieces most memorable from the film: A pregnant Rosemary gets violently ill, cuts her hair, starts chomping on raw liver and slugging down Tannis root, as she is basically consumed from the inside by the devil growing inside of her. Sallow-eyed, her face too small for her haircut, Rosemary screams and cries and begs as she barters with Guy for decent medical care—for the right to her own, not just her baby’s, health. As she deduces what is happening to her, she visits a doctor, unleashing a story of witches and baby killers and eternal youth that, though true, sounds too crazy to believe. At these moments, even this not particularly impressive miniseries reaches a point of almost physically unbearable unfairness—if it were a book, I would have put it down for a few minutes to reassure myself it was just a story. In these instances it becomes clear that Rosemary’s Baby’s premise is so creepy, potent, and elegant that it is nearly hack-proof. In a regular, healthy pregnancy, a woman’s body is shared with another being. A regular, loving mother does anything she can to protect her child. But with one perfect horror fillip—hey, your baby is actually the spawn of Satan!—these two axiomatic generosities become beyond perverse. Rosemary is a heroine: feisty, observant, decent, thrashing against the forces of evil arrayed not only all around but inside her. And, yet, after all that fighting, she is ultimately coopted by maybe her most expansive and resourceful quality, her maternal instinct. To the very end she is a good mother, even if that means leaving being a good person behind.